Does the bike you ride matter for touring and what would the President ride? In this episode we recap our recent mountain ride, Rico's ride with the Road Hogs, recap the Atlanta trip, and catch up on some new. 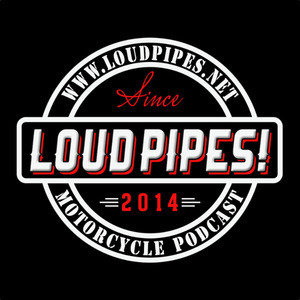 Our third of three interviews from the May 2016 Atlanta road trip, Jocelyn Dorsey joins us for a great motorcycle conversation. We sat down with Robert Rivera Jr while on our Atlanta road trip. Robert is a very talented artist who works with airbrushing and other techniques. In this episode the guys sit down with the lovely Ms. Aerin Shaw Vice President and General Manager for the Jekill and Hyde Company USA. We discuss our trip to Atlanta to capture interviews for future shows. Jon drops a bomb during this trip and we turned that conversation into an entire episode. Ted from the Motorcycle Men Podcast joins us to kick off the long ride series with part 1 around planning and preparing yourself and your ride. Rico returns from two episodes away and he and Rich spend a day in the mountains on the bikes. Rico also attends a demo ride for Indian and Victory Motorcycles. Rich rides three new bikes from Harley-Davidson and Kevin McKinney from the Throttled Podcast joins us to talk about technology making its way into helmets.